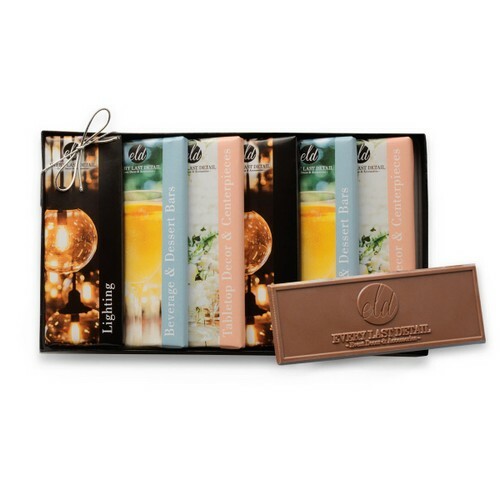 Our new wrapper bar gift pack offers six of our popular custom wrapper bars in your choice Belgian milk or dark chocolate. 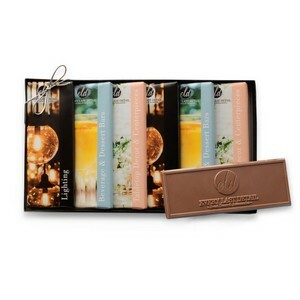 You can do one wrapper style or choose up to six different designs! Packaging includes clear lid with gold or silver stretch bow, or our standard packaging options.